Generates Rings from your top10 Facebook Friends (based on their Stronghold level). You cannot lose Rings from this building on defense. Adding friends will not update in real time. Friends list updates once every 22 hours. You can only collect rings from your top10 active players based on their SH level. If the user upgrades their Stronghold but you have not yet collected their rings for the day, it will not refresh with the new value until the following day. Your friends must have logged into RK within the past 3 days for you to collect from them. 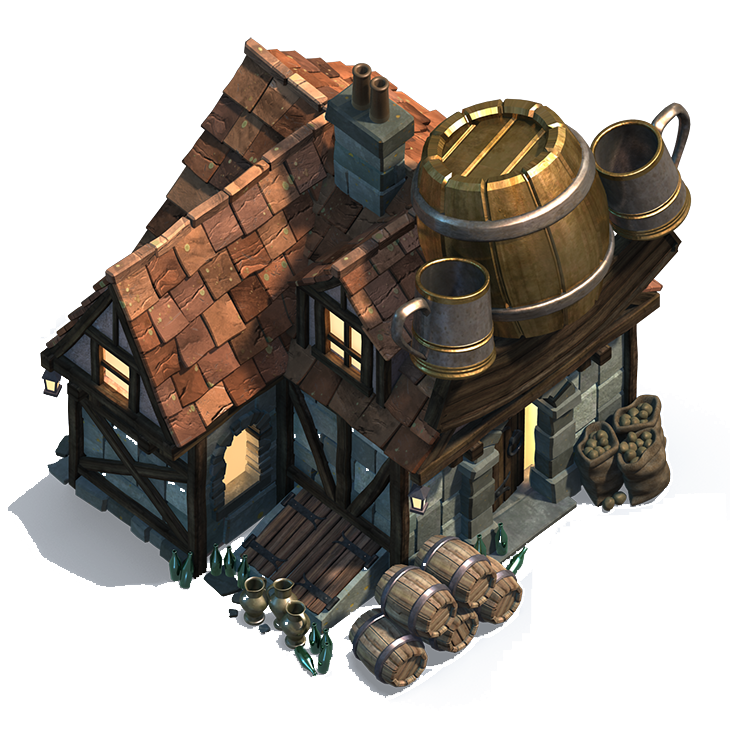 Players can nudge their inactive friends through the Tavern. The amount of rings you collect from a friend is calculated by (SH level - 4)/2 (rounded down, 1 ring is the minimum). You can logout of Facebook from: Menu > Settings > Accounts, but you will need to login again in order to collect rings. 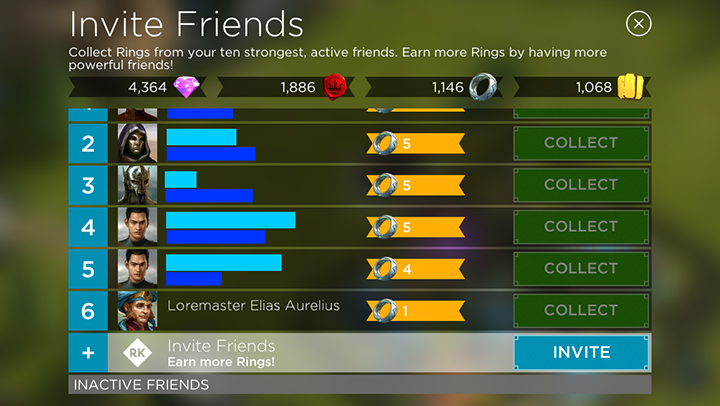 You can always collect rings from Loremaster Elias Aurelius, even if you have 10 active friends. The amount of rings he is worth is based on your own Stronghold level. Friends that have not logged in for more than 3 days will be listed as "inactive", you can remind them to login.